Thank you to everyone who deals poker for the Atlanta Poker Club and welcome to those looking for information on how to become an APC dealer. The APC members who volunteer their time are a huge part of the success of each APC event and you are truly appreciated! Any APC player who wants to learn how to deal can do so now by requesting free access to our online dealer training course where you will receive instruction from a professional poker dealer who shows you everything it takes to deal poker like a pro. 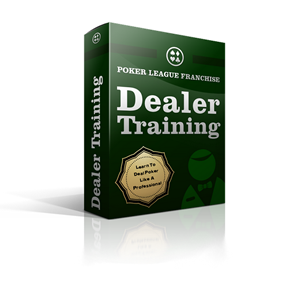 Fill out this form to request the Dealer Training course. To show our appreciation to all the great volunteer dealers, the APC hosts the Dealer Appreciation Tournament at the conclusion of every season. Dealers that participate compete for a $500 prize pool and a custom engraved silver coin. Good luck!